Home / communication / “BRING” กับ “TAKE” ใช้ต่างกันยังไงนะ ? 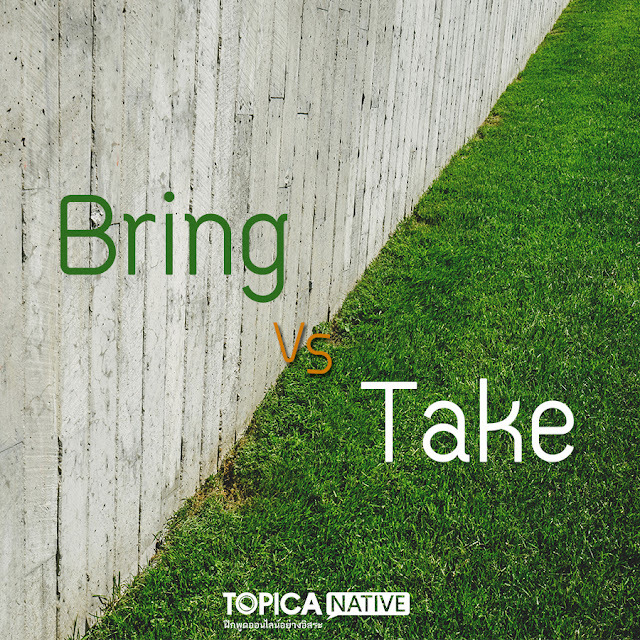 “BRING” กับ “TAKE” ใช้ต่างกันยังไงนะ ? Henry, can I TAKE your coffee cup away? BRING your instrument TO ME when you come over. TAKE your instrument OUT OF ITS CASE when you come here.